If you have ever wished you could wear your running shoes to work, but the safety regulations forbid it, Reebok has a solution for you: reach for a pair of these Reebok Women’s RB416 Black Sublite Work ESD Steel Toe Athletic Shoes. These women's shoes feel like r ... (see full details) (see specifications) #RBKRB416. If you have ever wished you could wear your running shoes to work, but the safety regulations forbid it, Reebok has a solution for you: reach for a pair of these Reebok Women’s RB416 Black Sublite Work ESD Steel Toe Athletic Shoes. These women's shoes feel like regular tennis shoes, but they meet ASTM F2413 standards. I know what you’re thinking: safety toe shoes can’t be comfortable. 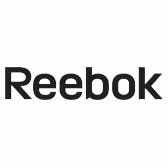 Reebok doesn’t agree and has worked tirelessly to extend their well-known comfort and performance of their running footwear to the work world. They began with the SubLite dual density midsoles - the inner parts that supports your arches. These need to be firm for support but also flexible for comfort, so Reebok designed the EVA cushion midsoles in this workwear. Next, they added the removable FootFuel injected MemoryTech footbeds. This women’s footwear are lined with moisture-wicking nylon mesh in order to manage sweat and pull it away from your skin. The leather with MicroWeb uppers aid in the breathability of these ESD shoes and adds a sleek look with the black leather and grey trim. The rubber outsoles are slip-resistant, and they're are also rated as static dissipating with dual resistors and steel toes. Keep your feet light and happy with the Reebok Women’s RB416 Black Sublite Work ESD Steel Toe Athletic Shoes...order yours from Working Person's Store! Reebok Shoes: Sublite Women's RB416 Black ESD Steel Toe Athletic Work Shoes is being added to your cart.